Every first time mom is overwhelmed when she heads to a retail location to start her registry. I know I was! There's just sooooo much crap out there, and everyone is telling you (in very opinionated tones) what to get or not get. I would have paid someone to create my registry for me! I had no idea what I was doing. As an experienced mom, these are the things you will REALLY need when your newborn joins you. Fisher-Price Cradle 'N Swing We got this when Henry was about four months old, and BOY do I wish I had had it since birth! Some women swear by bouncers and some swear by swings. This swing rotates for side to side or front to back, has a mobile, and plays music. Oh, and it also plugs into the wall, so there's no "Oh crap, we're out of batteries!" moment. As far as I'm concerned, this is far superior to an infant bouncer because it does so much. And did I mention you don't need batteries?! This contraption allows you to take a shower and cook a meal after your newborn arrives! 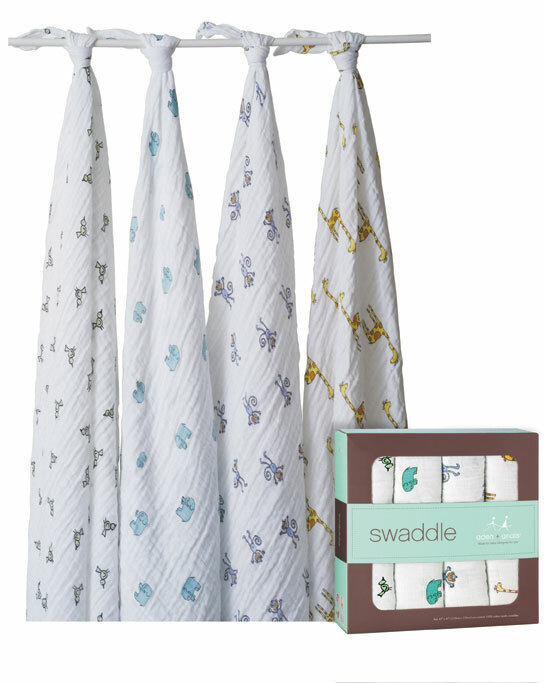 Aden + Anais Swaddle Blankets These blankets are AMAZING. They're soft. They're washable. If your newborn likes to be swaddled, it's easy to craft a "burrito wrap." If your newborn is like Henry and hates a swaddle with the passion of a thousand suns, you can lightly wrap them in it to keep them warm. You can lay it on a public changing table to provide some cushion for your baby. You can wipe up spit up. You can wipe your own nose with them. There is no end for the uses of these blankets. We easily have 40 of them, and I might get more for Otto... just in case. You'll use these muslin blankets for EVERYTHING. Aden + Anais Burpy Bibs Speaking of "wiping things up", you NEED these. Let's just say that some bibs let the flow of spit up... Flow. Everywhere, especially where you don't want it. These catch it. They're absorbent. When your baby is a newborn it can function as a burp cloth that fits perfectly over your shoulder and when they start to explore foods, there's a snap that you use to attach it around their neck. I'll be getting more of these too, before Otto's arrival! 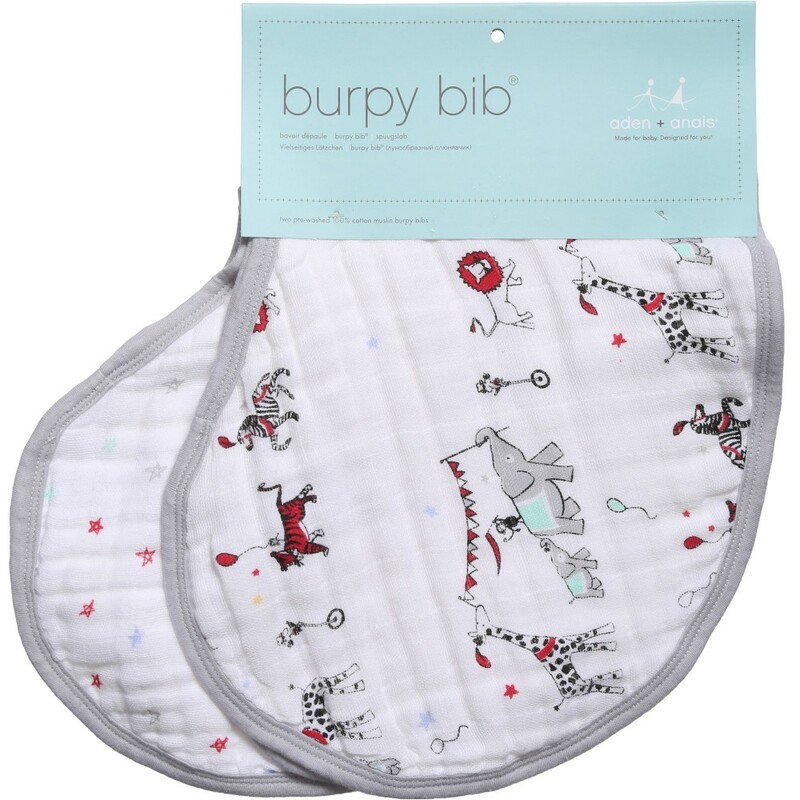 These bibs actually adsorb and "catch" spit up. You only need to get covered in that stuff once to learn to use these! 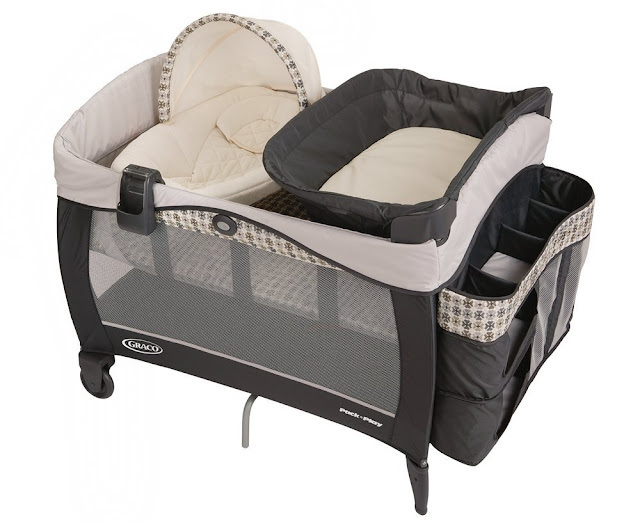 Graco Pack 'n Play Playard with Napper and Changer Whether or not you're going to breastfeed your baby, you'll want them in the same room as you for the first few months. They wake up multiple times a night and need to be fed and changed, and if you have it all in your room, it makes your very tired life so much easier. This has an infant sleeper (so the baby is closer to bed-height!) and a changing attachment, so it's like a 3 for 1! We just one of these gems for Otto. Bonus: when they're older you can pack in in your car and bring it to a friends house so kiddo can nap (they can nap in a car seat when they're a newborn). You get a well rested baby AND some adult time! 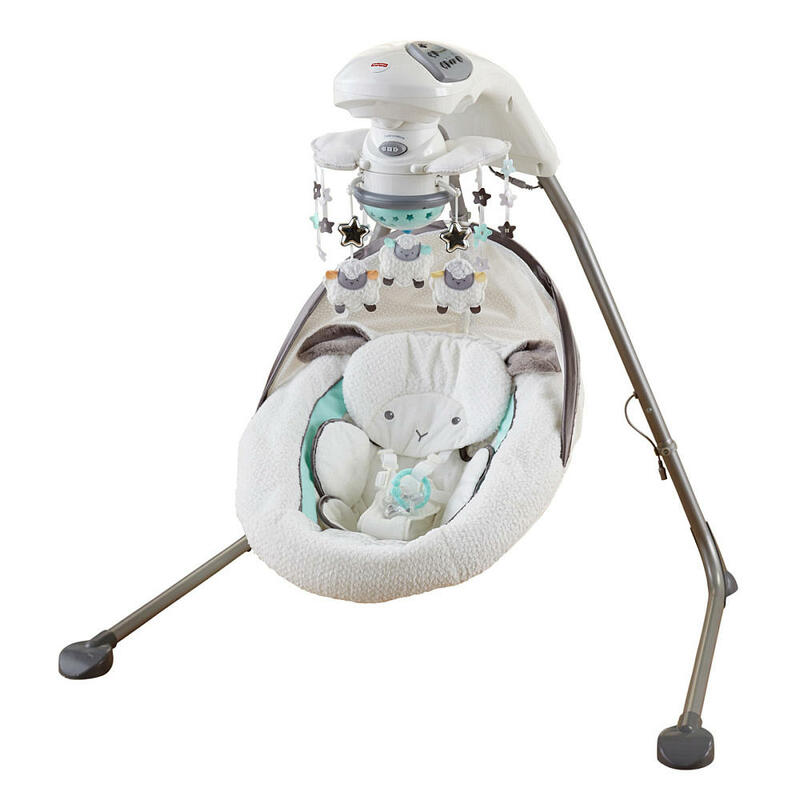 Multi purpose bassinet with attachments makes night time feedings and the newborn stage much easier. Oh my, do I WISH I had known to put these on my registry! These two items here were a lifesaver. Henry had bad gas, as most newborns do, and would scream in pain with it. 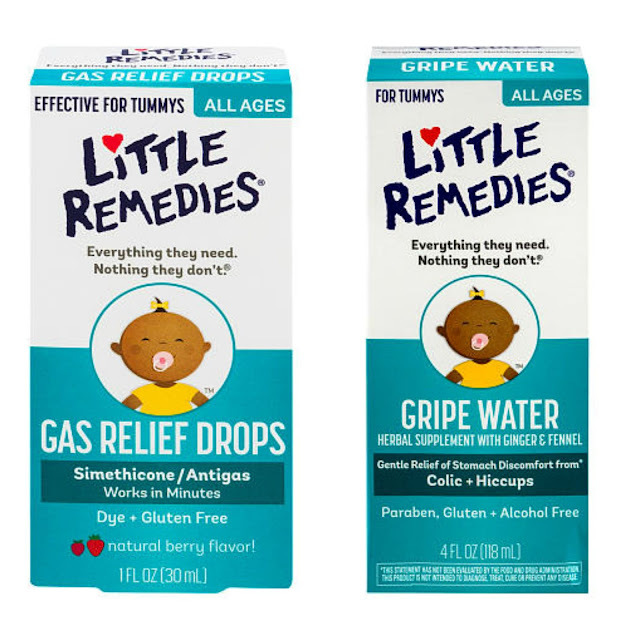 The gas drops helped ease that and the gripe water, which has ginger and fennel in it, which helps calm your infant. Of all the things on this list, make sure these are in your house by the time the baby arrives! Honestly, that's it. You don't need so much of the stuff that's marketed to new parents! Sure, there are some things that are "nice to have", like a baby carrier, but you know what? I never got into baby-wearing with Henry. Our carriers might get used with Otto... If I can figure them out. Tummy time mats (put down one of those muslin blankets! ), breast feeding pillows (use a normal pillow! ), and fancy nursing lights, sounds machines, etc. are all discretionary or outright unneeded! 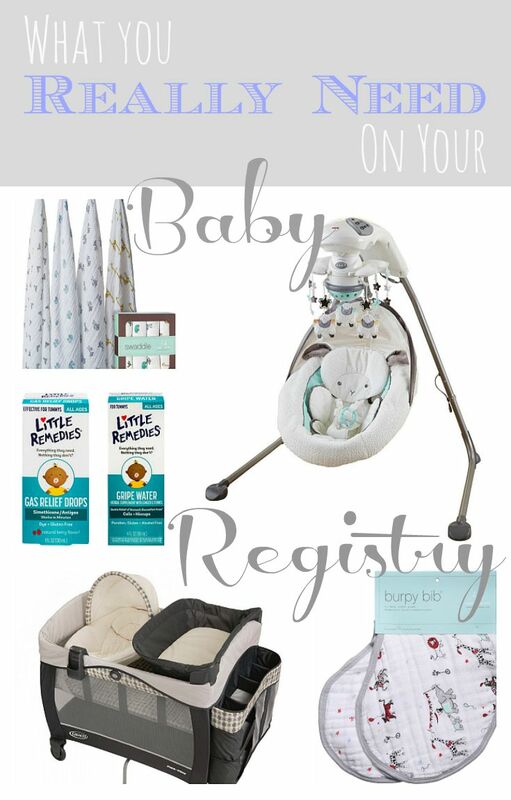 Creating a baby registry is overwhelming! There's so much stuff out there. As a new, soon-to-be parent, you have no idea what you'll need, much less what's helpful! I tried to stick to what I would need in my registry for my first baby. Now that I'm an experienced mom, I can assure you that this is a great short list on what you'll really need on your baby registry. I'm so glad I have sisters and friends like you to help me when the time comes. There's so much that goes into being a first time mom! How does anyone know what they really need?! That baby swing is amazing! And this post makes me just want to snuggle with a baby! Haha! And as a mom of 3 - I swear by Little Remedies! That swing thing was a life saver for all 3 of my sisters kids. I think that is the only way we used to be able to eat dinner like ever. Such great ideas! Definitely going to get a swing when I have my first! Pack-n-play and swing is definitely a baby registry must! We used the crap out of ours when Little Man was a baby! The swing is adorable! My kids loved them. 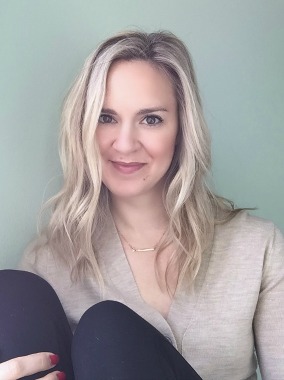 It's so good to find a list like this from a real mom! It will come in handy when I have kids. When it came to registering for my wedding I knew what I wanted, but I would be so lost when it comes to registering for baby things. This is a great list! There are so many things places "recommend" and people just DO NOT need them. I've gone with most of my friends to help them register and it's mind-blowing what these stores want you to buy. We had that same swing, loved it!!! Seriously, the first time you walk into a baby store it's like "holy hell." So overwhelming! I have a few trusted things I have to have. We took our pac n play everywhere with us! A hated her bassinet so she slept in her pac n play in our room for the first bit. Unfortunately she hated the swing. I actually really liked my boppy and used it every time I nursed baby girl at home, for 15 months! Everyone has what they like and don't like. I suppose that's why there's so much stuff out there. yes to the simethicone drops. those were a life saver for addie! Keeping this in mind for later! This is a great list! Our swing was our life saver. It's a baby sleeper ,therefore the infant is actually nearer to bed-height, along with a altering connection, therefore it is just like a 3 with regard to 1! All of us one of these types of gemstones with regard to Otto. I have read your post. There are a very nice baby swing list. Thanks for share your collection. Thanks for sharing this great list with us! Your experience is priceless! My pack'n'play was super light and easy to take to any trips. It's amazing to have the ability to take your baby and travel with no hassle. Plus we used it as a place to play on the lower level of our house when I needed to do something where it was hard to hold the baby at the same time. It's better to read some reviews http://www.best-pack-n-play.com/ before buying one. You should clearly understand which model is the best right for you in order not to be disappointed.